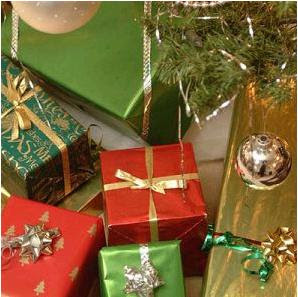 Apostolic Journals: Gifts at Christmas! The Bible gives a wonderful story about the gift God gave us—Jesus Christ—and we can use it as an opportunity to present the gospel and to show love. Giving and receiving gifts can be part of fulfilling what Paul says about giving in 2 Corinthians 8:7-8, "But just as you excel in everything—in faith, in speech, in knowledge, in complete earnestness and in your love for us—see that you also excel in this grace of giving. I am not commanding you, but I want to test the sincerity of your love by comparing it with the earnestness of others." Paul was talking to the churches who were giving him gifts (financial) so that he could keep on in the ministry. We can apply this same lesson to our own lives by giving to others, not just at Christmas, but year round! So, can gift giving become the focus of Christmas instead of thanking the Lord for the gift of His Son (John 3:16)? Absolutely! Does giving gifts have to take away from the true meaning of Christmas? No, it does not. If we focus on the wonderful gift of salvation the Lord has given us (Isaiah 9:6), giving to others is a natural expression of that gratitude. The key is our focus. Is your focus on the gift, or on the ultimate gift-giver, our gracious Heavenly Father? "Every good and perfect gift is from above, coming down from the Father of the heavenly lights..." (James 1:17).